Old chain-style hitches do not provide built-in sway control and add-ons are a hassle to remove when backing-up and making turns. 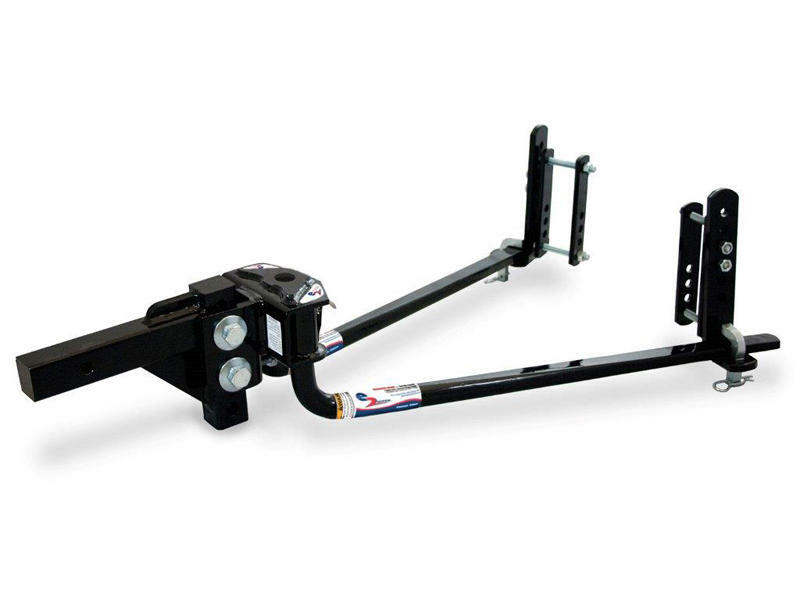 The e2 hitch's rigid brackets give you permanent sway control, so you can get on the road faster and enjoy your drive, without having to worry about extra add-ons to connect and remove for backing or making tight turns. For trailers that have tongue weights that range from 600 to 800 lbs and/or no more than 8,000 lbs of gross trailer weight.